Farm House living has become a new trend in India. Urbanites have increasingly begun to invest in farms and farm houses away from cities for more reasons than one. But first, what exactly is a Farm House? It is a large house set in the middle of a farm, typically with a landscaped garden around it. Farm house is also called a Country House. Farm Houses come typically away from one’s urban residence. 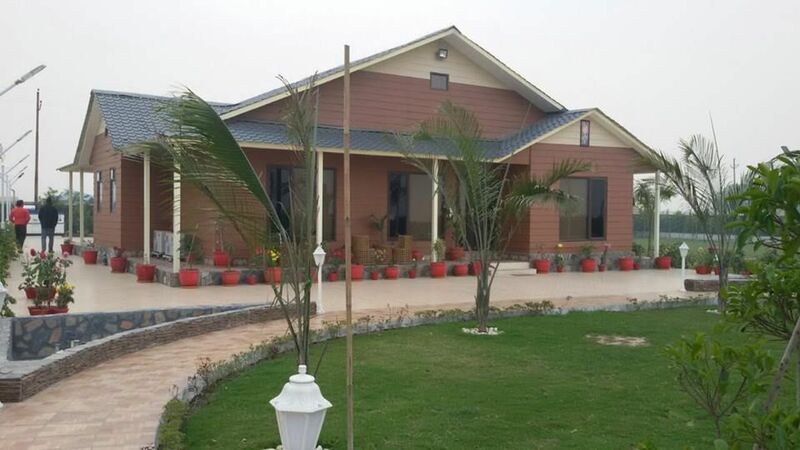 Generally, farm house owners use their farm house as their exclusive private resort as and when they the urge to take a break from the hustle and bustle of city life overwhelms them. It follows that farm houses do not necessarily mean rustic in architecture. They can be designed as you wish. You can choose to give a contemporary architecture to your farm house and equip it with modern amenities of your choice as well. Farm houses typically come with large chunk of fertile land attached to them. You get to indulge the luxury of space in and around a farm house; something city residences simply cannot afford to give you. No wonder, a farm house serves as a second house or weekend getaway to those that build or buy one. Both prudent investors and end users know the advantages of investing in a farm house. You get farm land in remote locations at comparatively lesser prices. And they come with clear titles too. Small wonder, India’s lifestyle-conscious and investment-savvy segments love farm houses as never before. If you think your farm house can only be used as your second home or your private getaway, think again. The trend of renting out farm houses for events such as wedding, corporate seminars or meets or events have now become a new trend too. Clearly, your farm house opens you a revenue stream as you begin to meet a rising demand for farm house-for-a-venue type of events. How about farm house investment appreciation? The intrinsic value of a farm house never goes down. You can always dispose of portions of your farmland at any point of time as the demand for farmland continues to rise as the supply keeps steadily going down. Small wonder, farm house communities can also be seen popping up across the nation today. These are residential enclaves integrated with organic farming zones in them. Farm house lifestyle is getting popular with the luxury class and discerning segments of people for the above reasons. Additionally, a growing number of people are convinced of Nature’s capabilities of healing many a condition we suffer from. Studies show that living closer to Nature helps develop our immunity and in disease prevention as well. You may not want to miss out on this opportunity to take advantage of buying or building a farm house yourself in Hosur; a strategic location just one hour drive from Bangalore, bordering Karnataka and Tamil Nadu States. It serves Bangaloreans, in particular, more than anybody else. Well, it doesn’t take away the fact that it is an equally good buy for investors and NRIs.